When the temperature drops, connect to the great outdoors for the coolest learning adventures. Uniquely located high atop the mountain on 370 acres of the Niagara Escarpment, the Nordic Centre is situated in a designated UNESCO biosphere reserve. Set in a 200 year old forest of 100 foot tall maple, beech and oak trees, our winter wonderland offers an excellent elevation for snow conditions and consistent temperatures. Glide along 27 km. of cross country ski trails professionally groomed daily for both classic and skate skiing. Snowshoe across Southern Ontario’s longest 420 ft. Suspension Bridge providing spectacular views of the countryside or explore the 10 km. of pristine snowshoe trails. All trails are well-marked and rated by level of difficulty. 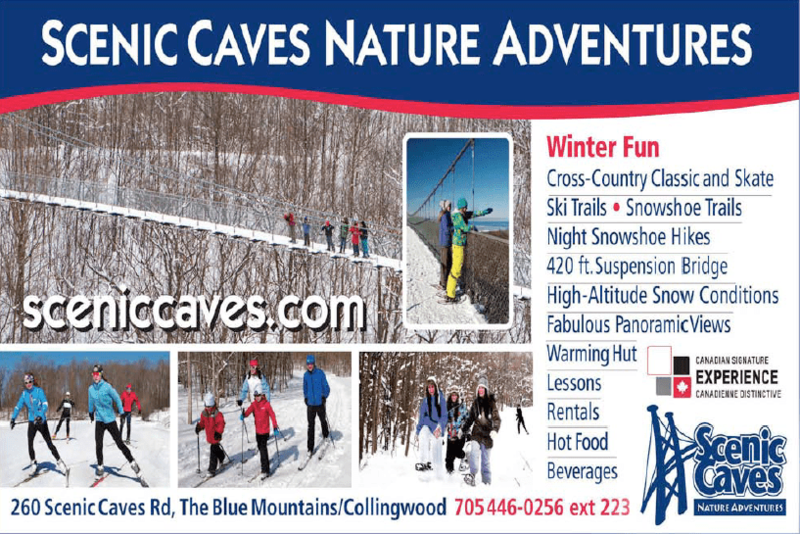 Also available: cross-country ski lessons, rentals of the newest brands in cross country ski and snowshoe equipment, waxing facilities, warm-up chalet, snack bar. Whether your students are trying a new winter sport, increasing skill levels or watching for wildlife, Nordic adventures offer an exhilarating outdoor experience.